Comprehensive dental exams make up the 3rd crucial component of proper oral hygiene. The other two components are brushing and flossing regularly as well as scheduled dental cleanings. The main function of a comprehensive dental exam is to check for signs of dental problems as early as possible. Early diagnoses lead to easier and more affordable treatments. In many cases, problems can even be prevented. The comprehensive exam includes an exhaustive analysis of the condition of your mouth and related structures. The dentist will perform a broad and thorough inspection of your teeth, gums, throat, tongue, and jaws. When Are Comprehensive Exams Needed? All new patients undergo a comprehensive exam. This is necessary in order for us to have a complete record of the current state of your dental health. Existing patients are also encouraged to undergo a comprehensive exam at least once every 3 years. In some cases, we also perform a periodic oral exam when there’s a real need to check on the changes of our patient’s oral health. The results of this periodic exam can then be compared to the results of the last comprehensive exam. We also perform comprehensive exams right before any major procedure. The comprehensive exam can be done before we put in new dental implants or dentures to replace missing teeth. The exam may be performed when we upgrade any major restoration you’ve previously received. In addition, the comprehensive exam makes sense when treating a major disease or condition. Close inspection of the teeth. Periodontal exam to check the condition of the gums and bones supporting the teeth. Occlusal exam, or an analysis of your bite. Head and neck cancer exam component, which involves inspecting the throat, the soft tissues of the mouth, and other parts of the mouth nearby these areas. Radiographic exam, which involves taking various kinds of scans including X-rays. Salivary function test to evaluate the level and quality of your saliva. Even the quality of your smile is checked as well, as this aesthetic aspect of dental care can affect a large part of your life. A comprehensive dental exam is exhaustive and basically complete. 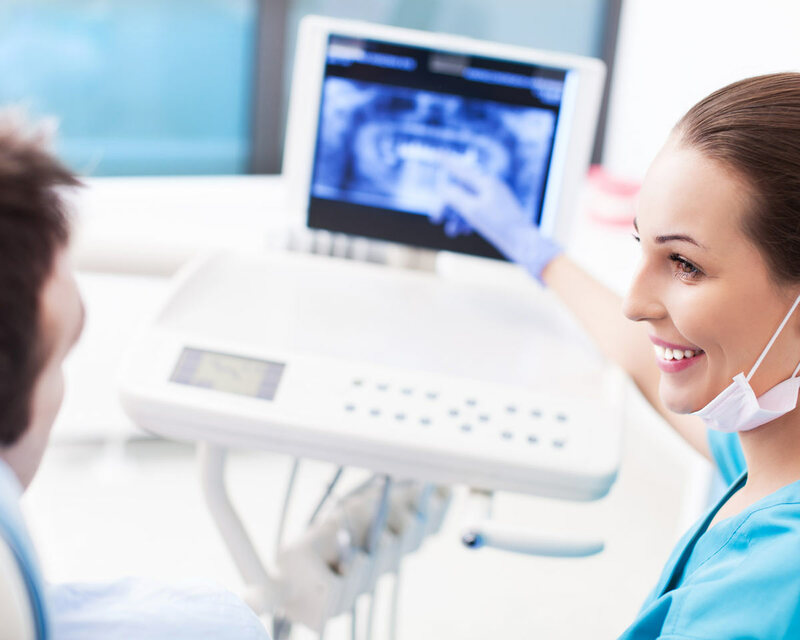 Our team will find out everything important about your dental health. We will be certain of the current condition of your oral health, find any potential or current problems, and confidently plan a treatment for your conditions.